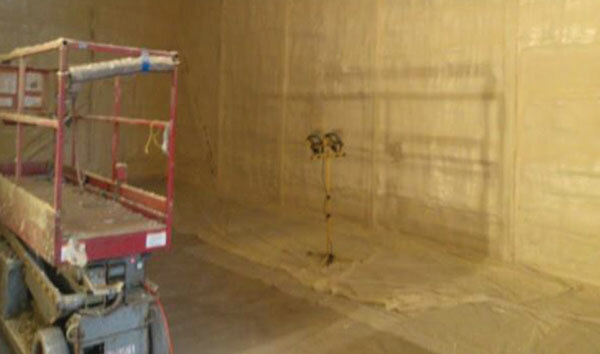 Revitalized Apple Cold Storage Project | Oak Ridge Foam & Coating Systems Inc.
Sprayed-in-place polyurethane foam insulation offers the highest R-value at 6.78R per inch. It is installed as a seamless and totally monolithic installation. This upstate New York apple farmer projected that the coming apple crop would be very profitable if he could choose the right time to sell his crop and until that time, be able to maintain the crispness and freshness of the apple product. The farmer chose Clark Whited as his contractor for installing the new insulation and Oak Ridge Foam & Coating Systems as the supplier of the two pound spray foam insulation. 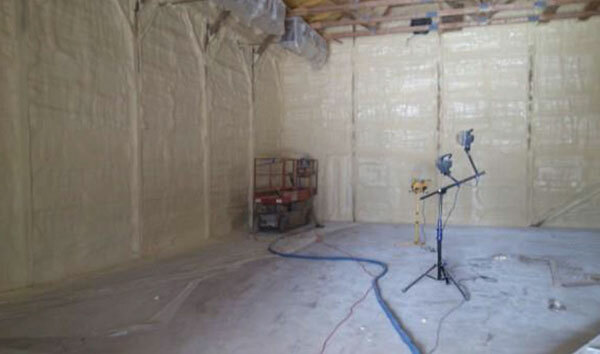 He decided to turn the building’s existing interior into an effective storage unit by increasing the current insulation from a meager one inch of the sprayed polyurethane foam to a substantial four inch thickness, and the installation of additional air handling units to maintain the desired 34˚F inside temperature proved to be the answer to the problem.